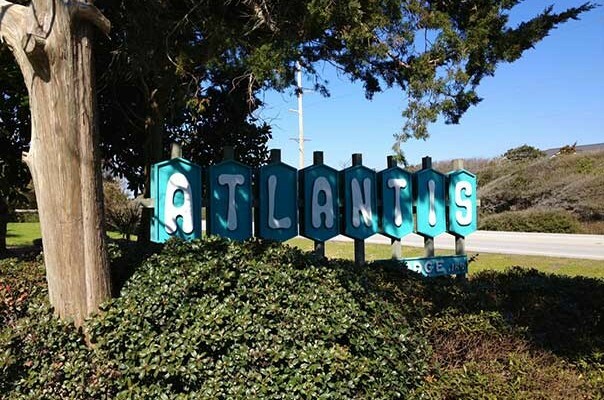 The Atlantis is a unique, vintage beach lodge located on the oceanfront in Pine Knoll Shores, right in the heart of North Carolina’s beautiful Crystal Coast. Most of our rooms are pet-friendly suites with efficiency kitchens, and dedicated dining, living, and sleeping areas. All have patios or decks facing the surf, and are non-smoking. And did we mention that the sun rises and sets over the ocean from November thru February? (Yes, we’ll give you a moment to think about that…) Although we’re on the East Coast, our island runs east / west and our beach faces south – so you’re sure to enjoy some of the most beautiful winter sunrises and sunsets any coast has to offer. Our extraordinary outdoor pool is not the usual little concrete hole. It’s a thoughtfully designed oasis – heated and lit for your comfort – created within the surrounding maritime woods. Usually a quiet place for reading, swimming, or simply floating, it’s also a great spot for small get-togethers. The Atlantis is a friendly, family oriented lodge that prides itself on doing what it can to preserve the beautiful maritime environment around it. The property boasts a great variety of native coastal vegetation (and gorgeous flowers over the spring and summer months), providing valuable habitats for wildlife and great views for you. 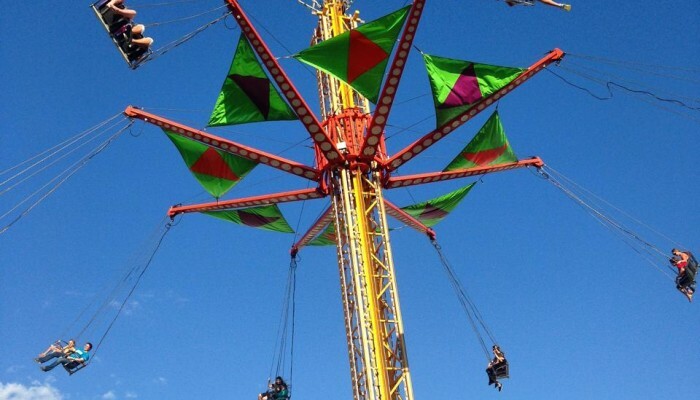 Come… give us the chance to show you why folks keep returning year after year! The fit is perfect. Always clean. Things all work. Grounds are beautiful. Birds adore the always-full feeders. Pleasant private spaces. Right on the beach with beautiful views. Pet welcoming, and respectful pet owners abound. There’s even a place to give your dog a bath! A family-welcoming place run by a welcoming family. We will surely be back. Like a comfortable old shoe. Home away from home. People are so friendly, and care that your visit is beyond just a getaway. Beautiful ocean-view rooms, quaint, quiet, pristine, clean. Didn’t want to go home. Even my little Maltese loved it, and he hates to be away from home. Stay here, you'll love it! 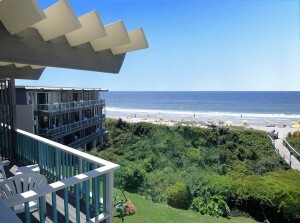 Oceanfront room with balcony, coffee outside in the mornings, beautiful grounds, very well groomed. Very quiet, even though full for the weekend. Pet friendly. Even have a dog-washing station with shampoo! Will return! First visit. Lots of beach character (yes, built in the 60s). Good Eats – How they ranked! 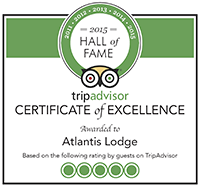 Exciting News from the Atlantis Lodge! 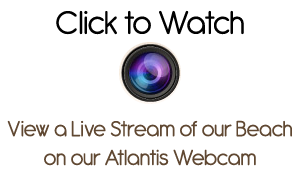 Atlantis Lodge shared a post.